IS IVANKA TRUMP A FAKE FEMINIST? Ivanka Trump – Photograph courtesy Wikimedia Commons. 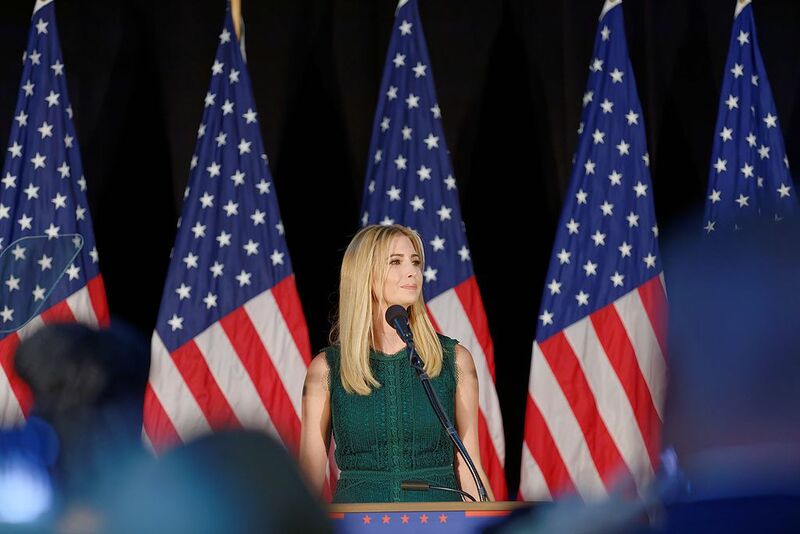 Last week, Us Weekly released an issue on June 7th with a cover story of Ivanka Trump and the headline “Why I Disagree with My Dad”, which is one of the many ways she has positioned herself to the media. Numerous headlines and social media posts have indicated people want Ivanka to persuade her father on certain issues, but there little tangible evidence that she has changed his mind on much of anything so far. Some even consider her as a feminist due to her balance of a successful work and family life, but there is no sufficient proof to that either. Ivanka started to take the spotlight as a political influence while Trump was on the campaign trail. According to a report by Vanity Fair, Ivanka gave Trump an ultimatum to chose her or his campaign manager, Corey Lewandowski, in June 2016. Trump ended up firing Lewandowski. It became clear then that she was not just his daughter, but part of his politics. It became even clearer when both Ivanka and her husband, Jared Kushner, were given advising roles to the president and security clearance in the West Wing. Ivanka tells the media that she does not agree with her father and has tried to persuade him to think otherwise on big decisions in the Oval Office. What influence she really has is unclear, as Trump has made big decisions like endorsing the new health care bill, reinstating the global gag rule, and pulling out of the Paris Agreement, which are things most would expect Ivanka to disagree with, yet he still forges ahead. Photograph by Brendan Smialowski for Getty Images. According to Us Weekly, Ivanka stated that she met with environmental activist and actor Leonardo DiCaprio, Al Gore, and head of the Environmental Protection Agency, Scott Pruitt to discuss climate change and the Paris Agreement. Since she put effort into making those meetings, she did so to sway her father since she also claims in the article that she is disappointed by her father’s decision to pull out of the Paris Agreement. Still, Trump pulled out of the agreement. 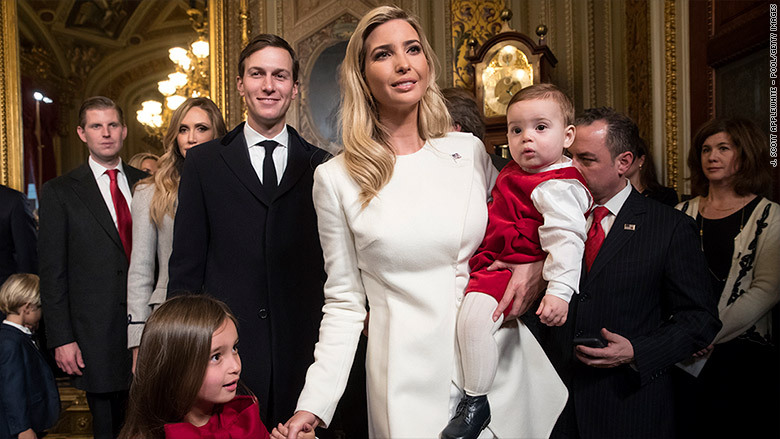 The article further states that an “Ivanka insider” said, “Sometimes [Ivanka] and Jared are a big influence on Donald and sometimes he takes other opinions into account and does something they disagree with. They win some and they lose some.” But what have they won? Similar to the Paris Agreement, most people expect Ivanka would advocate for women’s rights. More specifically, she would have convinced Trump out of the new health care bill considering that it could deem pregnancy as a pre-existing condition and does not fund Planned Parenthood. Ivanka is a mother of three and has advocated for women’s issues such as better maternity leave since Trump’s campaign trail, which was considered as a way to desperately get women voters. Although, the keyword is maternity. Maternity leave gives a mother time off to raise her child instead of parental leave that gives time off to both parents. Maternity leave gives the responsibility of raising the child to the woman, which only reinforces the stereotype that women are primary nurturers of children. Ivanka Trump speaking in Berlin. Photograph by Sean Gallup sourced from Getty Images. 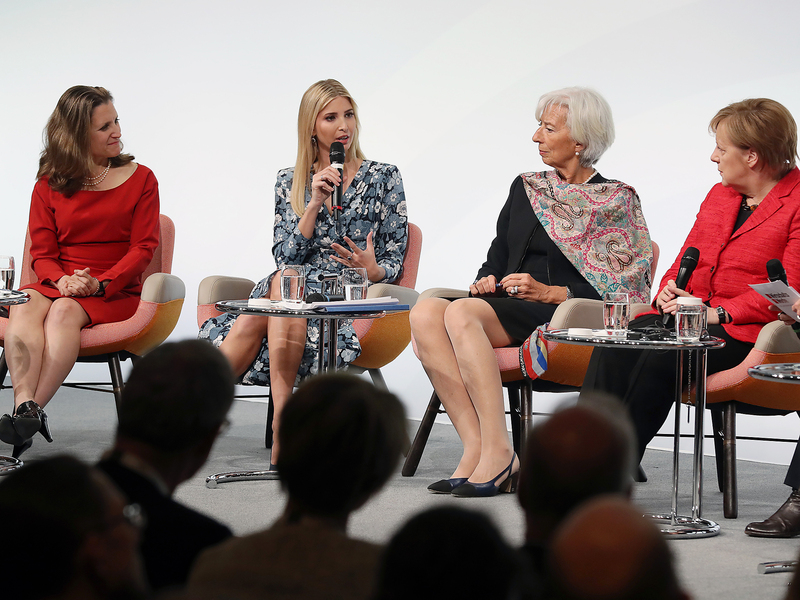 Despite President Trump’s stance on women’s issues, Ivanka says her father is a “tremendous champion of supporting families,” which received boos from an audience in Berlin. In the past month, the campaign promise of maternity leave has changed to a parental leave budget proposal, with no comment on the change and no hopeful outlooks from Congress. The New York Times has written that congress is a tougher sell on the legislation since both Republicans and Democrats are skeptical to pass it. Ivanka has also started the “Women Who Work” initiative, which is her way of encouraging women to balance their family life and career. Not only has she used it to sell her clothes and accessories made for women who work, but she has also written a book about the topic. Her book encourages women to not be afraid of moving up in the business world while also raising kids. At one point, the book states that, “The only person who can create a life you’ll love is you.” Although that statement may seem like a way to empower women and support feminism, it is not since it comes from a place of privilege. To women who work low paying jobs with little to no job security – the opposite of Ivanka’s career – they cannot negotiate and take initiative to keep moving up. That statement is also not based on Ivanka’s own experience since she did not move up the corporate ladder by herself or from the bottom. Photograph courtesy sourced from CNN. 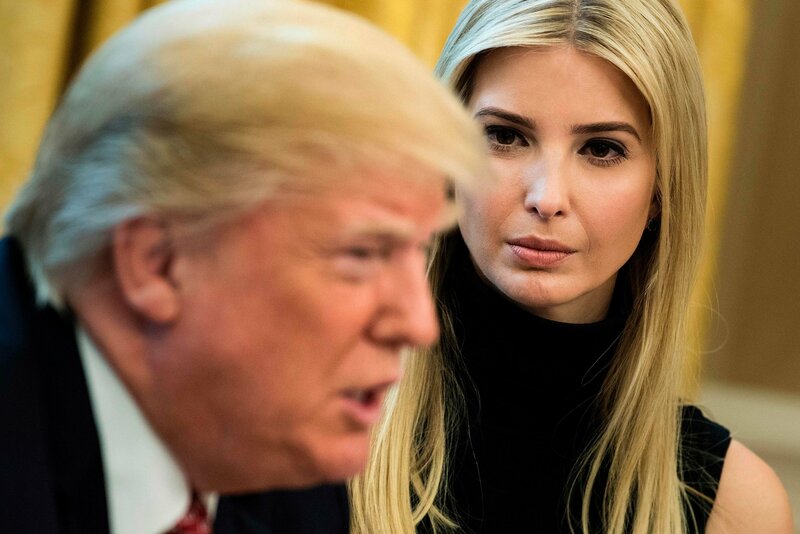 Ivanka’s “Women Who Work” initiative is only useful for those who are privileged enough to have sufficient money to start a successful business or be part of a successful business, which is how she started and it seems to run in the family. Donald Trump is known for his claim on the campaign trail that he started his own business after he received “a small loan of one million dollars” from his father. Ivanka started out in the business world similarly since she started her business career by joining the Trump business in 2005 and starting her own business a few years later with her Trump connections. Ivanka uses her career and family as tools for profit from her “Women Who Work” initiative that arose from a privileged and wealthy family, not her own work from the bottom. And although she claims to attempt to sway her father, that does not mean that she has any power on the president’s decision making process since she only made one change in legislation out of the many that she could have influenced. Whether or not she disagrees with her father, one thing for certain is that she wants the public to think she does disagree, with only an “Ivanka insider” and herself to prove it.